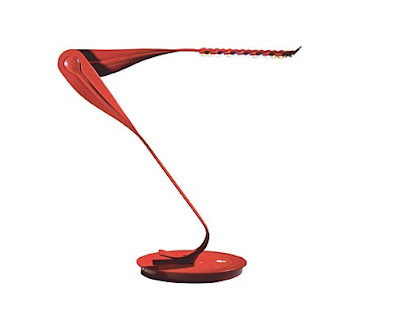 Herman Miller's LED Leaf Light was created by Yves Behar. The Leaf Light looks like nothing else—except maybe a large leaf. 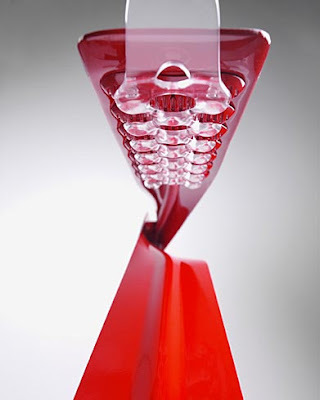 Its thin aluminum blades produce the elegant profile, which give the light a sculptural, organic form. Choose from several colors to coordinate with a variety of settings. LED lights usually become too hot to touch. 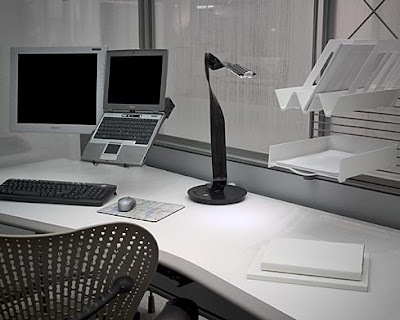 Herman Miller solved the problem without the usual fan and with a proprietary, continuous heat-dissipation system. 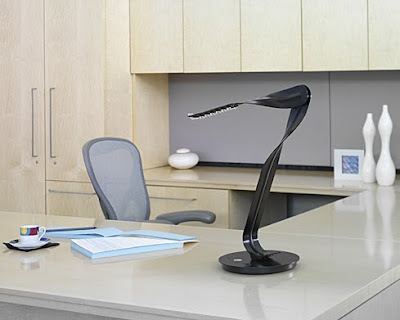 The result is a light that works more efficiently and that you can touch anywhere. Herman Miller's Leaf Light is designed to give the user a full spectrum of choices to express light's magical and sensory variations," says designer Yves Béhar. "Herman Miller's Leaf Light allows the human senses to become engaged by allowing the user to choose the intensity and color of light which best suits a functional need, mood or location." Yves Béhar is a terrific example of a designer who understands the mix of problem-solving and creativity necessary to make genuinely better products. We collaborated with Béhar's San Francisco-based studio, fuseproject, in both engineering and design to produce a genuinely better lamp. First, Herman Miller's Leaf Light is incredibly efficient. 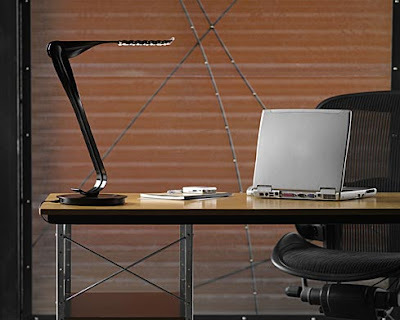 Herman Miller's Leaf Light features 20 LEDs use 40% less energy than a 13-watt compact fluorescent bulb. And Leaf manages the heat produced by LEDs in a completely new way, so that a motorized fan—usually required to dissipate intense LED heat—isn't necessary. 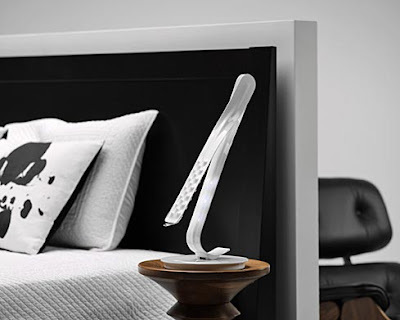 The Leaf LEDs stay cool to the touch through the use of a patent-pending heat distribution system. 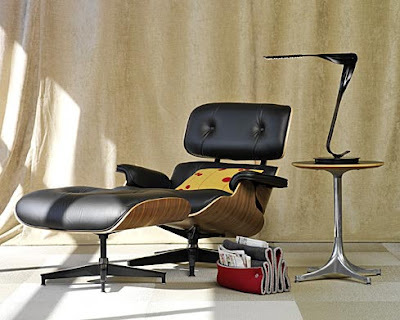 Small wonder, then, that Herman Miller's Leaf Light has received numerous awards and been included in the permanent collections of museums worldwide, including the Musée National D'Art Moderne/Centre Pompidou, Paris; MoMA,-New York; and The Art Institute of Chicago. Herman Miller's Leaf Light is designed to give the user a full spectrum of choices to express light's magical and sensory variations," says designer Yves Béhar. "It allows the human senses to become engaged by allowing the user to choose the intensity and color of light which best suits a functional need, mood or location." It was also chosen by TIME Magazine as one of the Best Inventions of 2007, which defined the selected products as "the coolest stuff from the most innovative minds in the world." Managing Editor Richard Stengel added, "When you're dealing with complex technology, you can't overestimate the importance of good, clean design." 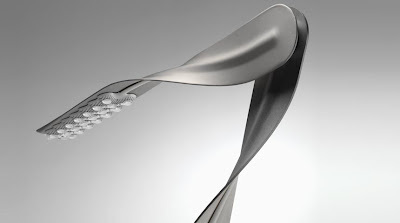 Leaf was included on the basis of its energy efficiency and sleek design.